This turkey weighed in at 21 pounds, big by anyones standard, had an 8 1/2 inch beard and 3/4 inch spurs. She took him at 46 yards with a 20 guage. Thats some pretty good shooting. Congratulations! 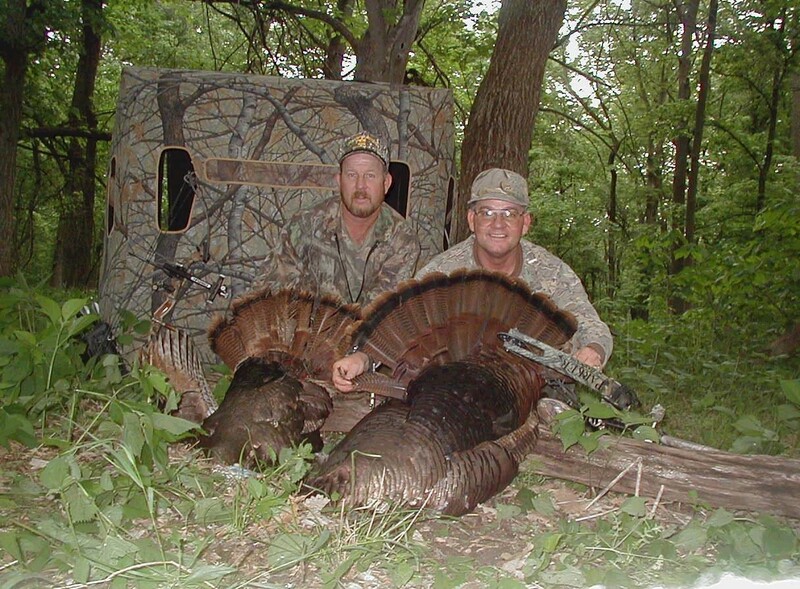 Here's a picture of Greg Clement and his brother with 2 turkeys that fell to arrows at less than 10 yds each. Great job guys!